If you have an office that students or others can visit, it's helpful to include a map to that location on your site. And Weebly has a built-in Google Maps element that helps you do just that. 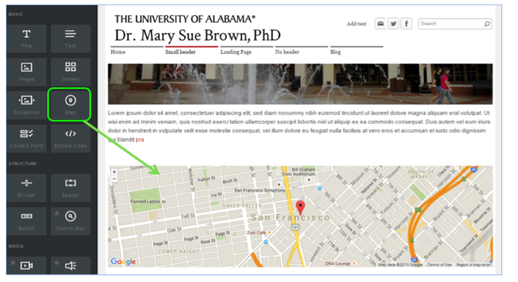 Start by dragging the Maps element to a page on your site. It's under the Basic category of elements. The map displays a small part of San Francisco (home of Weebly!) by default. Click on your map to open up the toolbox. You can make a number of changes from here. This will update the map to the address you've entered. If you place a map inside the columns element, it will automatically adjust to the width of the column you place it in. This can be useful for writing directions directly next to the map. 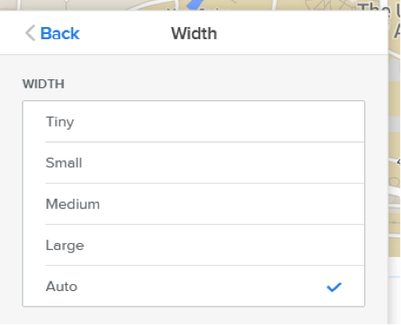 And you can adjust the height of the map using the Width and Height option in the toolbox. 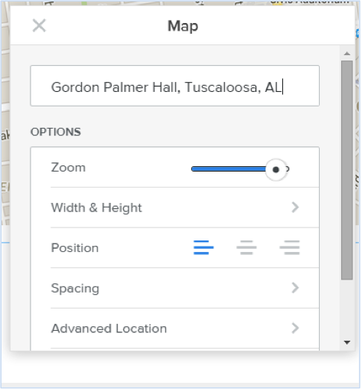 If you feel at all limited by Weebly's built-in Maps element, you're also more than welcome to embed a map directly from maps.google.com (or a similar mapping tool). 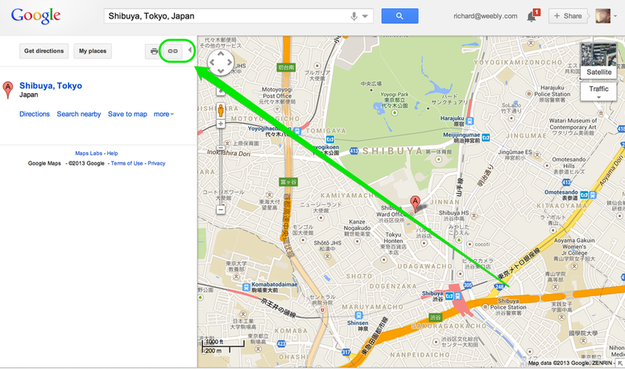 Create the map in Google and then click the "Link" option in the upper left of the map. Copy the code they provide you from the "Paste HTML to embed in website" field. Then paste this code to your site using Weebly's Embed Code Element. Your map will show up as soon as you click out of the element. Next up, learn about the Stats Dashboard.